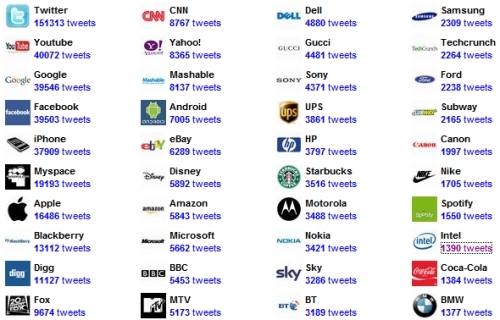 Tweetedbrands.com lists out the daily Top 50 Brands in the Twitterverse. Intel makes the list…today. I’d like to see us maintain our place and gain momentum. We (Intel) have done some great executions with Pandora this year. What I admire most about them is their willingness to innovate, and tailor programs for a client like me. I used to make mix-tapes all the time growing up…now I have a new way to share my favorites. Well played Tom, Tim, and the rest of the Pandora crew. via Technorati’s ‘State of the Blogosphere 2009‘. Moral: There are conversations going on about your brand, even when you’re not present in the discussion. The inevitable has happened. 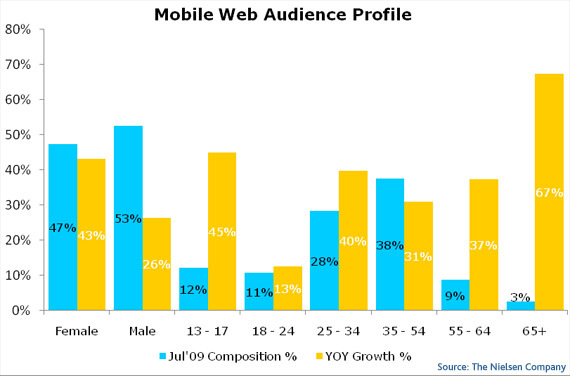 There has been a youth uprising on Twitter, with new data showing that over the last year the largest growing age group on the micro-blogging service is the 18-24 y/o demo (37% gain year over year), with the 25-34 y/o demo following closely (31% growth in the same time period). While the media age (31) has remained stable it is clear that our youth, once hesitant about the transparency of broadcasting their every move in 140 characters, has shed their trepidation and are swarming to Twitter like never before. Very different data than we saw just two short months ago. As consumers continue to lead a more ‘connected’ lifestyle, the reliance on mobile devices for delivering content and performing computing tasks will continue to rise – as will the consumer’s expectations of the experience delivered to them on that device. via Ogilvy and IBM Marketing. From my vantage point, we have a very similar approach at Intel.